BANGKOK: Prime Minister Prayut Chan-o-cha has urged police to speed up their probe into a melee that erupted on Sunday (Feb 24) when a group of men injured and sexually harassed students at a school in Chom Thong district. 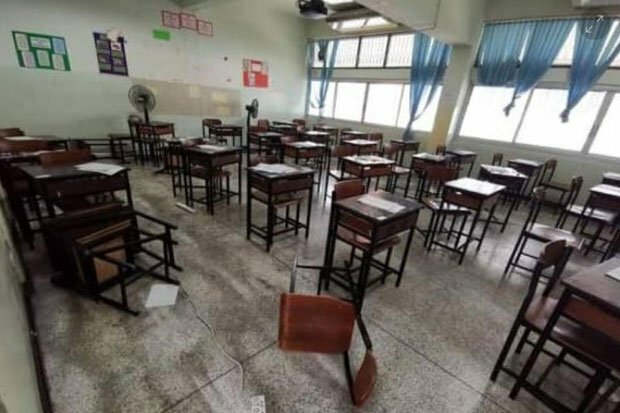 The men, some of whom were reportedly inebriated, were apparently angered by a request from teachers to turn off their loudspeakers so as not to disturb exam takers at Bangkok’s Mathayomwatsing School. They were believed to have been participating in an ordination cere­mony at Wat Sing, a nearby temple, at the time. 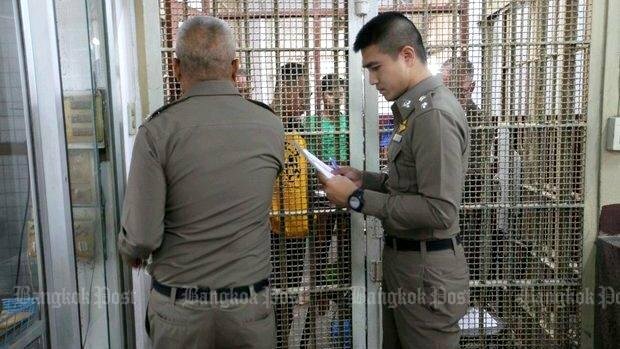 “I want law enforcers involved in this to expedite the investigation to deal with this group of offenders seriously,” Gen Prayut said in a Facebook post on Monday. Twelve people were injured including the director of the secondary school, teachers, other staff and students. Some 24 suspects aged 18 to 41 are being detained for various charges including trespassing on and destruction of government property, physical assault and sexual harassment. 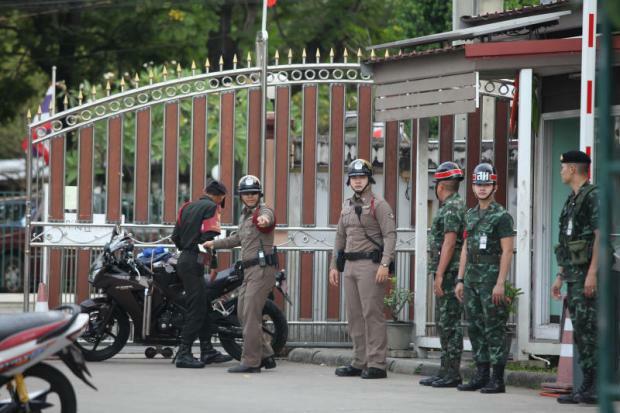 Arrest warrants were expected for another five or six suspects, said Pol Lt Gen Suwat Chaengyodsuk, an assistant national police chief who is overseeing the investigation. Mathayomwatsing, which is adjacent to a Buddhist temple on Ekachai Road in Bang Khunthian district, was organising a General Aptitude Test (GAT) and Professional and Academic Aptitude Test (PAT) when the scuffle broke out. A total of 248 students were taking the tests at the time. The examiners ended up giving them an additional 30 minutes to complete their exams after the intruders were cleared out. “If the test results come out worse than I expected, I won't be able to go to the university I want,” the student added, declining to give their name. National Institute of Educational Testing Service chief Sirida Burachat said the agency planned to reschedule the exams for March 5 at the same school between 1pm and 4pm. The decision came after 12 students were unable to finish the test. One man hit a student with a table and then punched him while another tried to sexually assault a female student, according to witnesses. The 12 students will be allowed to re-sit the exam. Other students will be given a chance to re-sit or chance their luck with their original exam score. Officials have given them until this Thursday to decide. “All of the exam takers will be given fair treatment,” Ms Sirida said. Police said they were questioning all suspects. Pol Gen Chaloemkiat Siworakhan, the deputy national police chief, said investigators were taking the alleged sexual offence very seriously. “One man held me against a wall and kissed me,” said a female student, adding she could smell alcohol on his breath. “He told me to be his wife. I just stood there trembling,” she added. The 2008 Alcoholic Beverage Control Act explicitly states that drinking is not allowed at temples or other religious venues, meaning the suspects could face more charges, said Songkran Parkchokdee from the Stop Drink Network.